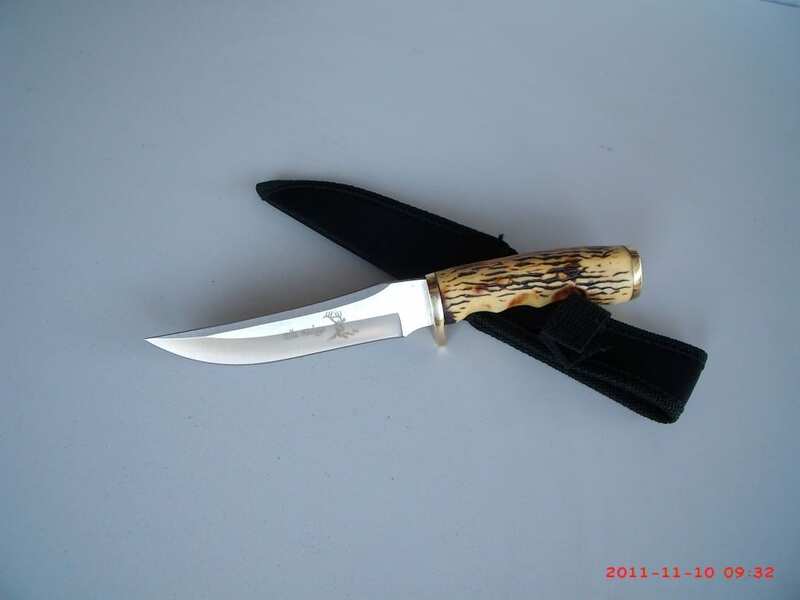 Elk Ridge Knives are a well recognised manufacturer of top quality Folding & Fixed blade knives . Elk Ridge Large Hunter. 12 3/8″ overall. 7 1/4″ 440 stainless clip point blade. Finger groove laminated wood handle with stainless guard and pommel. Black heavy nylon sheath. 9″ overall. 4 3/8″ 440 stainless blade. Full tang. Brown pakkawood handles with etched stainless bolster. Lanyard hole. Black nylon belt sheath with protective insert. 8 1/2″ overall. 3 3/4″ stainless guthook blade. Full tang. Brown and black burl wood handles. Brown leather belt sheath. 9″ overall. 4″ 440 stainless guthook blade. Full tang. Fall camo finish aluminum handles. Black nylon belt sheath. 4 5/8″ closed triple lockback. 8″ overall. 3 1/2″ 440 stainless guthook blade with orange camo finish. 8″ overall. 3 1/2″ 440 stainless guthook blade with red camo finish. Full, extended tang with lanyard hole. Aluminum handles with red camo finish. Black nylon belt sheath. 8″ overall. 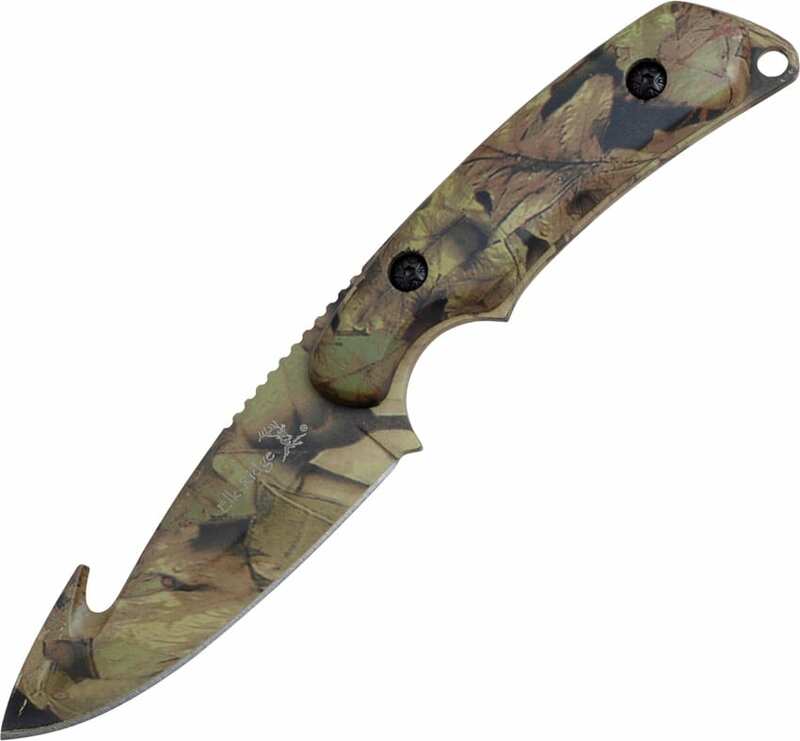 3 1/2″ 440 stainless guthook blade with camo finish. Full tang. Camo finish aluminum handles. Lanyard loop. Black nylon belt sheath. 7″ overall. 3 1/4″ 440 stainless upswept blade with laser cutout of elk. Full tang. Camo finish Pakkawood handles. Lanyard loop. Brown leather belt sheath.